If you do too, you’ll see them. ADISYA is an Agile consulting company, but first and foremost, we’re in the business of transforming organizations to places where new futures can be realized. These futures fulfill the core concerns of the organization. Implementing Agile development practices at the enterprise scale requires significant organizational and cultural shifts in paradigm and perception. We help analyze and prepare for these changes through onsite engagements with our clients. Our basic philosophy is to expect miracles. If you do, you’ll see them too. Adisya offers management consulting, Agile coaching, and organizational transformation to large and small enterprises. We provide techniques to align goals across every level of their organization, and facilitate critical thinking around “Are we building the right thing?” rather than quickly jumping into "Are we building this thing right?" Our focus is on using a special blend of Scaled Agile Framework implementation with Lean Startup methodology and cultural transformation techniques. These practices empower people at all levels of an organization to take ownership and be leaders, elevating organizational performance so that people are present to their accomplishments, and experience greater quality of life. We bring in specialized techniques to allow cross-functional collaboration and communication, resulting in a collectivistic culture where people are free to perform without any concerns. We provide the necessary structures for this flow to happen effortlessly. 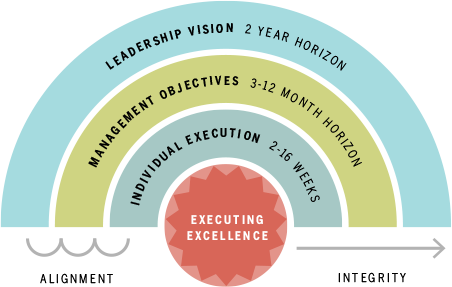 To achieve the performance breakthroughs that matter most to you, we offer these services: Coaching – executive coaching to create powerful strategies; program management coaching to set up an agile playbook for effective execution of the strategies; and coaching at the team level to elevate performance, How-To Workshops, Facilitation, Mentoring, and Training. Imagine every member of a team is a person standing at a different point on a beach. Each of them sees the horizon from their own unique perspective, and each perspective is a critical piece of the big picture. Often, organizations operate in fragmented silos; we bring in the techniques to create an environment where collaboration can happen and everyone has visibility into the shared horizon. We train organizations to define a shared horizon so that everyone is working toward the same goals from the strength of their own perspective. This understanding not only promotes incredible productivity gains, but it allows every member of the team to participate fully, master his or her own craft, and become a leader. The timeframe of an engagement could be as short or long as you’d like, but we recommend something in the range of 2-12 weeks with a clear set of agreed upon outcomes and deliverables. Latha is an Agile Practices Leader and Transformation Coach based in the Silicon Valley (Bay Area, CA), who focuses on practices that elevate organizational performance and quality of life for all people. She is committed to creating powerful interpersonal dynamics within organizations, where people listen, collaborate, and build on each other’s ideas instead of replacing them. Latha has worked with companies such as Cisco, Adobe, Visa, and most recently at GE Software and Analytics Center of Excellence, FedEx, and several Bay Area startups. Years ago as a doctoral student in Manufacturing Engineering, she started her career with one of the Big 3 car manufacturers, bringing lean practices to assembly lines with a focus on productivity. Latha is passionate about cultivating cultures and mindsets that allow for value creation and collaboration as well as promoting alignment between the leadership vision and management objectives and teams’ day-to-day work. Latha loves to do yoga and pilates and has a passion for healthy cooking and playing with her pets. Copyright 2013. © Adisya Agile Consulting LLC. All rights reserved.